(April 14, 2017) British Airways has stopped all cargo shipments from Tampa International Airport to London Gatwick Airport indefinitely. This change affects all pet moves from Tampa to London. Air Animal will post updates to our alerts when TPA to LGW air cargo service resumes. In the meantime, Air Animal clients will use our Orlando office and fly on one of two daily flights direct from Orlando International Airport (MCO) to Gatwick. After reading about the stoppage online, Air Animal founder, Dr. Walter Woolf said, "All hiccups can be managed with enough creativity and experience. 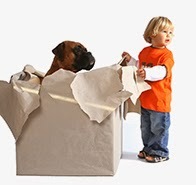 That's why Pet Moving Made Easy is our motto." If you are planning a pet move from west central Florida to the UK, please plan ahead and book early. New pet scam-don't be fooled! The holidays are back. Unfortunately so are the fraudsters selling specialty pets online. There is a new twist this year. The imposters are asking for payment in gift cards, Western Union or Money Gram. Don't fall for it. You won't receive a pet. You cannot buy an English bull dog or pug anywhere for $300 and that Labrador retriever needing rescue doesn't really exist. Learn more and protect yourself against cyber crime. Imposters & Imitators-Don't Be Fooled! Air New Zealand Cargo has limited pet transport to non-stop flights of five hours or less for snub-nosed animals such as Boston terriers and Persian cats. If you're relocating to New Zealand, Air Animal's expert pet movers can help you navigate New Zealand's import rules. Air New Zealand made the change saying brachycephalic breeds are more susceptible to respiratory problems and heat stress. The airline and Air Animal's priority is the safety and wellbeing of animals we transport. Animals accepted for travel must comply with IATA live animal regulations and be accompanied by owner acknowledgement and indemnity forms. Amid the Turkey Day sales and Black Friday blockbusters, don't forget that reputable breeders do NOT sell cheap pets online. Reputable rescue agencies do NOT require payments online. 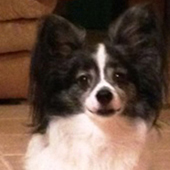 Protect yourself and learn how to avoid being duped by online pet scammers. Beginning Jan. 1, 2016, Singapore will require all dog owners to purchase an approved dog license before applying for an import permit. To apply for dog licenses, owners must have a Singapore residential address. Commercial addresses such as hotels and offices may not be used for this purpose. The issued license must then be attached as on of the supporting documents on the import permit application. You're never more than a phone call or email away from someone who knows exactly what is needed to safely fly your pet to another location. 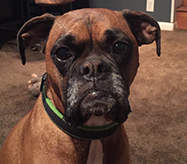 We helped Baylie's pet parent move her happy boxer from Tennessee to Singapore earlier this year. Heat embargoes are in effect for many brachycephalic breeds (pugs, bulldogs and the like) during warm weather. Typically these breeds cannot travel from mid-April through mid-September on commercial airlines. The embargoes may last longer, depending upon the temperatures in the departure and destination airports. Air Animal offers this backgrounder for more information about moving your precious pug.